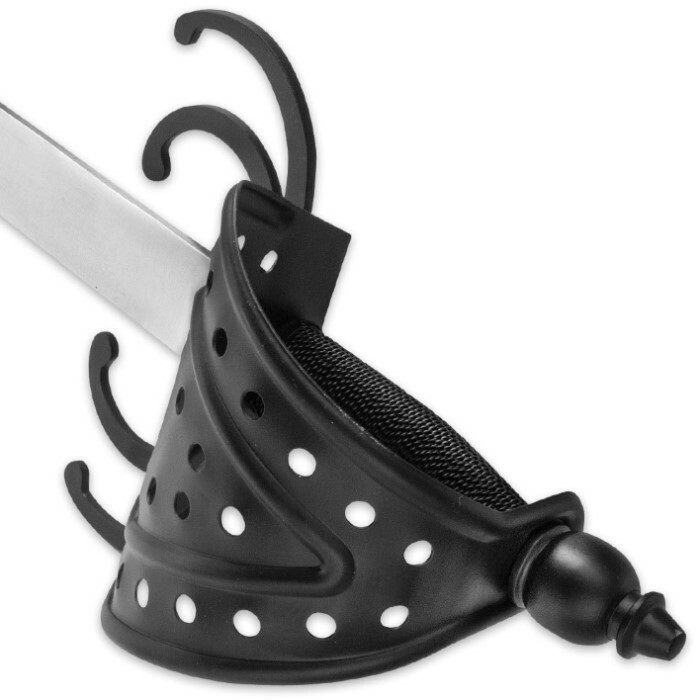 Ultimate Pirate Basket Guard Sword | BUDK.com - Knives & Swords At The Lowest Prices! 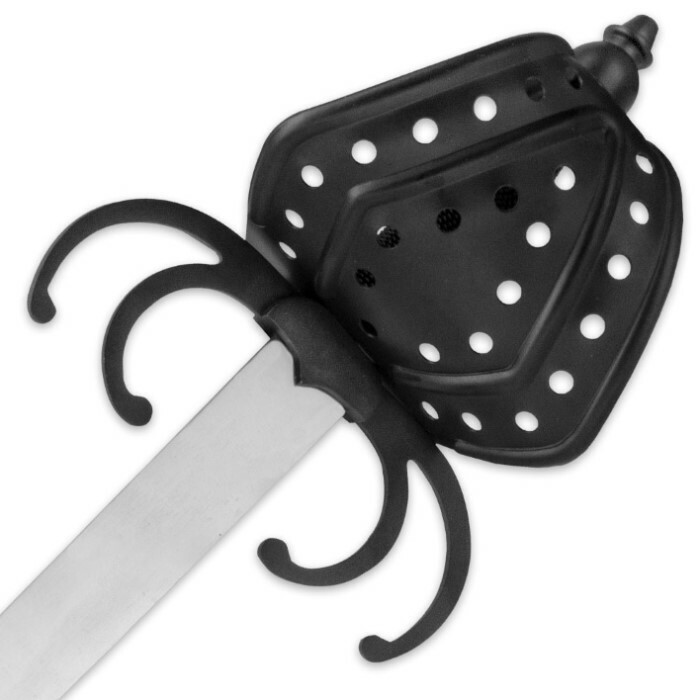 Slash your way through the Seven Seas with the Ultimate Pirate Basket Guard Sword! 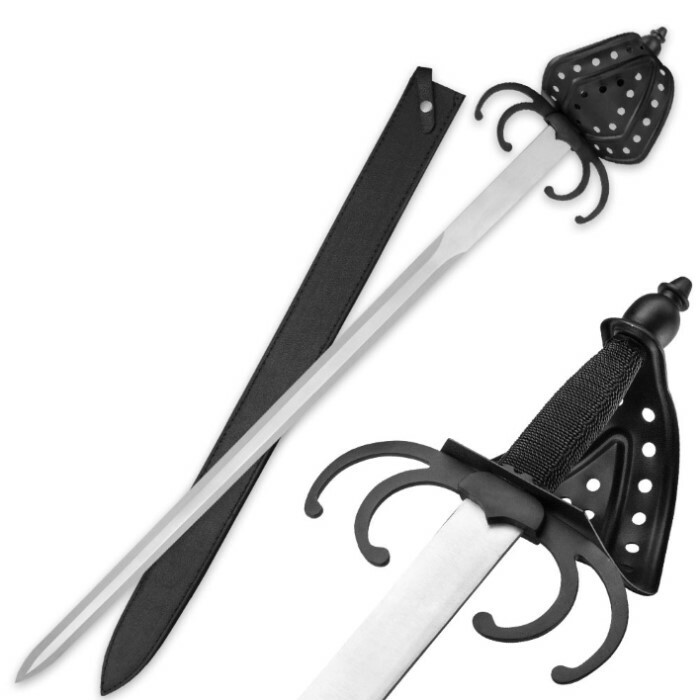 This is a great-looking sword to add to your collection plus it makes a great addition to a costume. It features a stainless steel blade and wire-wrapped handle. The basket shaped guard and pommel are black coated. A heavy-duty leather sheath is included. This sword is 36” in overall length.